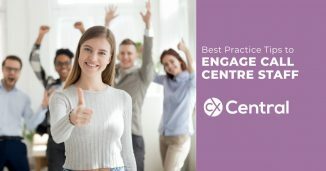 What is the future of call centre outsourcers in Australia? The sudden closure of Melbourne-based call centre outsourcer BMS Interactive in March 2017 took a lot of people by surprise. Operating since 2000, at its peak, BMS employed close to 500 staff providing call centre outsourcing services for a range of clients. Sadly though BMS is not alone. In recent times we’ve also seen the closure of three big Australian based call centre outsourcers, Sydney based Peakbound in September 2018 and Customers 1to1 in December 2016 and Melbourne based CallActive in November 2015. Peakbound appears to be a direct casualty of the Banking Royal Commission and from all reports Andrew Brydon, former CEO of BMS Interactive and his leadership team ran a good operation that was formally acknowledged by the Auscontact Association awarding them the best Outsourcer in Australia in 2015 as part of their annual awards program. Yet just over 12 months later his company went into voluntary administration. I’m not close enough to the inner workings of BMS but having lived through a similar experience I’m sure it wasn’t through a lack of trying and that the decision to finally close would have been incredibly tough on Andrew and the broader team. In a (since deleted) LinkedIn post, Brydon cited a range of factors that lead to their demise including the impact of the Do Not Call Register, off-shoring, in-sourcing, various online channels, and the removal of technical barriers all playing a factor. There is no doubt that Andrew is right, all of those factors are playing a role in how BPO’s can remain competitive in today’s fast-changing world. 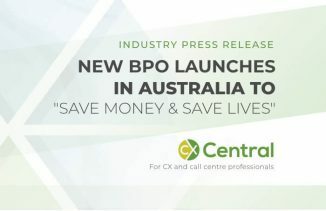 So with thousands of staff across the country employed by BPO’s and many Australian businesses dependent on outsourcing either some or all of the CX to BPO’s, should we all be nervous about the future of BPO’s in Australia? I spoke to some of the senior leaders in in the Australian BPO industry in 2017 to canvass their thoughts. The interviews below were conducted in March 2017 so it’s interesting to note that as of September 2018, there has been further changes to the local BPO landscape including Probe acquiring the Salmat contact centre business, Peakbound closing as I mentioned earlier, and iSelect and Whirpool announcing they are bringing their offshore call centres back to Australia to name just a few. With the $AUD continuing to lose value against the $USD, I suspect there will be further changes to offshoring as the commercial benefits continue to decline. Are call centre outsourcers in Australia dying a slow death? The contact centre outsourcing businesses are not dying. In my 18 years of working with the customer management outsourcing, I have never seen the market so buoyant with opportunity, and the growth we have experienced at TeleTech is a testament to that. Firstly, the good news is less newsworthy than bad news, so you hear about failures more often than you hear about the successes, but in reality, there are far more successes in our industry than people hear about in the media. Secondly, and this is the more complex driver. Consumers have never demanded such high levels of service. Digital first businesses have an advantage in delivering expectations as they are not bogged down by legacy. From a customer perspective, they are willing to use services like Uber, where you simply cannot call anyone, interactions are completed over chat or online. Legacy business cannot just turn off the phones tomorrow. So digital disrupters have an unfair advantage. The outsourcers who will survive are the ones that focus their efforts on helping driving a step change in businesses who want to close the gap between legacy and digital-first businesses. The ones that are dying or struggling misread the pace that this change has come upon us. In Probe’s experience, customer contact volumes are continuing to increase not decrease. We are also experiencing an evolution in the contact mix (phone, email, SMS, chat, social). I believe this is an industry-wide outcome. As a result, we are facing a complexity challenge rather than decline. Complexity is exciting because it creates an opportunity to be better. Being better leads to growth. The demand for outsourcing is also growing, both domestically and offshore – there is no slow death underway. Myopic companies always fail. Failure is by no means a new phenomenon and it’s certainly not a new phenomenon in the BPO world. I suggest that outsource service providers that have disappeared have done so because they havent kept up with the complexity challenge. They havent evolved their value propositions to keep up with increasingly complex client demands. There is much growth to be realised, it requires courageous and continuous investment in capability – culture, people, methodologies and infrastructure. There are many, many drivers of outsourcing – better service, sales, collection, processing, and experience outcomes; better efficiency; and of course lower cost. This can manifest itself in many ways – lower OPEX, more flexible or variable cost, or conversion of capital investment to OPEX. The outsourcer may be seeking access to capability they dont have or access to a capability to challenge themselves and learn how to be better. They may want to catch-up with best practice or leapfrog competitors by accessing best practice quickly. There are so many drivers of outsourcing and these drivers are continuing to be discussed in Boardrooms across Australia. BPOs like Probe with adaptive and customisable models are continuing to grow. Global and national trends prove that outsourcing continues to grow. The traditional outsourced Contact Centre models have been undergoing a change for some time. Todays Contact Centres need to support the provision of sophisticated services and capabilities, whilst at the same time provide a vast range of information that assists in delivering a quality customer experience. The demand for such capability continues to grow as the traditional models become less relevant. If you are an outsourcer not supporting clients with their move to digital, then I believe you will die a slow death. I believe, however, what we are seeing in the outsourcing market is a natural migration to the next generation of outsourcer that can take clients along their future customer journey. As in any industry, businesses need to continually transform and offer value for tomorrow. This means that many local outsourcers, that offered great value as trail-blazers a decade ago, are now struggling to compete against global providers that have access to leading practices, experienced, proven practitioners and advanced technology solutions. 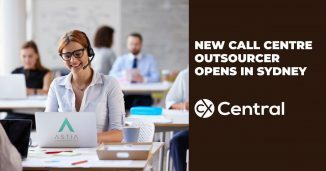 Despite the belief that the growth of digital will be the death of contact centres, it is our contention that contact centre outsourcing is very much alive. Technology is certainly changing the landscape of contact centres and it’s triggering the next evolution. In the new world of channel proliferation, digital growth and multiple touch-points, we feel these technological advancements are enhancing the contact centre possibilities, rather than substituting them. The number of options customers have to make contact with a brand has grown rapidly and their desire to make contact at any time from any place has increased. In order for contact centres to cater to the omnichannel world of today, they must evolve and change how their information services are produced and delivered to customers. What we are seeing is that companies in Australia are relying on technology, which has now become more accessible and affordable, to evolve their customer experience. This can sometimes be seen as the silver bullet to providing service excellence. However, the key element to successful contact centre outsourcing companies is providing a highly engaged and knowledgeable workforce. Unfortunately, those relying on the technology add-on are led to believe that they can easily replicate a service model within their technology bundle. We believe that successful outsourced companies, like CPM, understand that people are the greatest asset and its, therefore, the greatest investment. As consumers continue to want the best possible customer experience, our expertise will continue to be in demand. We have been in the industry for 20 years, and 2017 will be our biggest year ever, both in terms of headcount growth and revenue growth. We believe in the buoyancy of the contact centre industry in Australia, and we’re continuing to plan and invest for growth. We now have eight major contact centres in Australia, and two in the Philippines (as part of our Smartshoring strategy), and weve recently brought online a new state-of-the-art centre in Melbourne, as well as another in the Philippines. 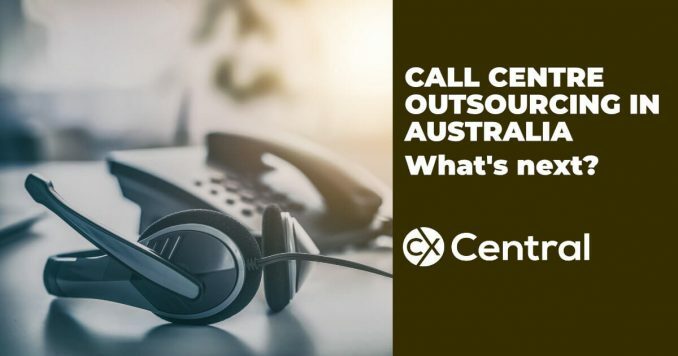 In our view, growth in the Australian contact centre industry will continue to be driven by businesses wanting to streamline their operations and really focus on their core business, and theyll be looking to partner with specialist contact centre providers to achieve this. This will allow them to excel at what they are good at, while also reaping the efficiencies that only a specialist contact centre partner can deliver (including state-of-the-art infrastructure and technology design, people capability and scalability to drive efficiencies). What changes do you foresee for call centre outsourcers in Australia in the next 12 months? There will be a continuing demand for better – better quality, better outcomes and better commercial positions. There will be continuing demand for continuous improvement and value added outcomes, speed and flexibility and for both onshore and offshore service delivery. People incorrectly assume that because of the internet and digitisation that customer contact will disappear. I contend that most online business models have websites that sit on top of contact centres. Think of companies like Expedia, Jetstar, the online retailers, i-Select – they all have growing contact centres helping to manage customer interactions behind the website. Even Apple has contact centres – there hard to access but they are there. Theres one right here in Melbourne. Contact centres are becoming a consolidator of channels. They play an increasingly important and complex role in supporting all channels  both traditional and digital. They’re the glue that binds all these channels together to provide a consistent omnichannel experience. As a result, they’re more sophisticated and more complex to design and manage well. There will be continuing growth for companies that get this right. I see two major related changes. The first is a continuation of the client-driven reengineering of businesses to be more Customer Centric and focussed on making it effortless to engage with them. The second change is that the traditional call centre will need to rapidly evolve to be an omnichannel enabled, contact centre. Given this need for rapid transformation, business leaders will need to review if this should be a focus for in-house investment and resources or is this world-class capability is more effectively purchased on-demand by partnering with a specialist provider? Over the past few years, we have seen substantial changes in the relationship between brands and their customers. More than ever, power has been steadily shifting back to the consumer and the gap between brands and customers is widening. There is a growing realisation that over-reliance on digital is creating this disconnect with customers and that stronger human intervention is needed to close this gap. No one doubts that digital is an important component of any companys go-to-market strategy. But it is just one component of a complex customer experience continuum. For all of these reasons, it is more important than ever that businesses get customer service right. The changes that we foresee in the next 12 months is that contact centres will play a larger role in bridging that gap between brands and their customers and that good customer service will be even more important than ever. Theres not a simple answer to these challenges. However, there is one fundamental element that despite all the changes we are seeing – remains constant and which is an essential part of the solution: the human equation. There aren’t any touch-points, channels or sources of information quite as powerful or credible as that delivered by knowledgeable, professionally trained human beings. Even greater focus on innovation. Further, changes to the way in which offshore contact centres are managed will change. Many of the assumptions made when decisions were made to establish offshore Contact Centre activity are now being challenged. Cost saving assumptions are now more likely to be achieved through technology rather than lower-cost labour in a world where customer experience is the priority. For the first time, we are seeing trends in Europe and the US that show more Contact Centres have been brought back onshore rather than the opposite. The biggest change is already upon us, the shift to digital channels where organisations can automate contacts and provide a better experience by allowing consumers to help themselves on their terms. This has changed our focus from solving problems with headcount solutions to helping business accelerate their move to digital. Expect a greater emphasis on Virtual Agent and AI type technologies as they continue their lifecycle from concept to deployment. How can or are call centre outsourcers in Australia planning for the future? A consistent theme from all leaders was the need to continually invest in people, processes, facilities and technology in order to succeed. The need to invest in broadening capability outside of just the traditional contact centre. Providing customers with a right-shoring/smart-shoring model. Investing in facilities to make them a great place to work. Providing solutions for the entire customer journey (across all channels). Not forgetting that behind all the best technology and processes are people – and the need to continually invest in their workforce. Underpinning all of the above you will note is the word ‘investment’. In my opinion, I think this may be the key differentiator in who will survive the journey. Traditionally BPO management had largely been a numbers game – more “bums on seats” would directly relate to more revenue and higher profits. But over recent years things have shifted considerably resulting in reduced revenue and lower profit margins. Increased competition from local providers squeezing margins. The cheaper prices available in offshore destinations taking away onshore headcount and/or again forcing lower margins to try and remain competitive. The lower cost of technology enabling customers to access the latest contact centre technology in-house without the need to invest significant dollars (previously a reason to outsource). Reducing headcount through automation (whether it be through chatbots, Apps, IVR messaging or simply better customer journey mapping and reducing the need for customers to call or be called). Regardless of the reason, with less money coming in its a lot harder to invest back into the business. And if you are locked into large premises with increasingly empty seats, just covering the bills is going to be hard enough let alone making significant investments in new technology etc. For some of the BPO operators out there, it may be a very quick downward spiral that with revenue falling fast there just isn’t enough time to turn the ship around. So where to from here for call centre outsourcers in Australia? Of the centres I interviewed, with the exception of Peakbound, all the other providers also offer services from a variety of offshore locations with nearshore locations New Zealand and the Philippines being the most likely destination outside of Australia for contact centre work. But one thing was crystal clear when speaking to them all: a clear commitment to the local industry and not just maintaining operations in Australia, but expanding them. Many have just opened new centres in Australia and are planning for significant headcount increases over the next 12-24 months. It also needs to be said that many of the same companies are also continuing to invest in offshore locations with many also just opening, or planning to open or expand facilities in both New Zealand or the Philippines. There is no disputing that running contact centre operations in Australia is more expensive than any other destination. The decision on where to best place your contact centre is a complex one best saved for another article but one thing is clear – providing customers with a choice is becoming increasingly important. And that’s exciting for us all! To find a list of call centre outsourcers in Australia where you can also search by skill visit our Business Directory. If you are thinking about outsourcing some, or all of your call centre functions use our free CX Connect service and you’ll receive proposals from recommended suppliers that meet your exact requirements sent directly to your inbox saving you time, money and risk.